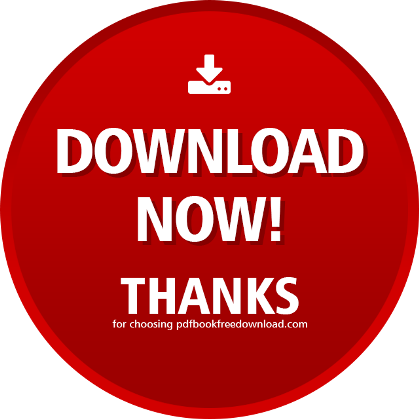 Getting Pregnant Faster & Naturally ebook by Dr. Sarah Stewart free download (.pdf). Being self-employed and pregnant has been both a wonderful and nerve wracking experience. As I come to my final few days of pregnancy I thought I would take a moment to step back and think about how I have continued my success in business whilst experiencing pregnancy for the first time. The first few months’ tiredness and nausea played their role. So I quickly learned that I needed to be MOST effective and productive during the times when I was feeling at my best. Ironically this was early mornings! So I changed up my routine, my early morning admin tasks were soon swapped with my coaching and mentoring sessions. So I would book all of my meetings/coaching calls/recruitment calls for the morning. This way, I could truly give the focus I needed to do a great job. When the afternoon came (around 3pm) I would switch to doing my admin and planning. When I worked my business around the full time job, I used to work every evening for a couple of hours. Now, I work 2-3 evenings a week for a few hours. Many people would tell me to slow down, to relax more, to stop working as hard. But the reality? I thrive on hard work and relish any chance to throw myself into my work. I listened to my body, and kept my mind healthy – using great supplements from my own store (victoriawarren.flp.com) and took time out to utilise my spa membership. I did all of this ‘stuff’ anyway so I didn’t feel I needed to do anything more to ‘stop, slow down or rest’. The caring nature in others really shows when they give advice to you, don’t ignore the advice but take note of what your body is saying too. If I had given in and spent that day on the couch, not attended that meeting, let my new coachee down, took a ‘sick’ day. I wouldn’t have ticked off my YEAR goals in the first 6 months of the year! Leaving me with plenty of options now for the next 6 months, to really relax with my new-born and adjust (whilst still being paid from my residual income). I am not saying don’t take sick days, some of us really need to. I run a business where I can switch my activities and working hours to suit. I am not confined to a set opening time, close time, even location. I did, of course listen to medical advice, so I reduced my travel, became more effective via skype and google hangouts and enjoyed truly showing people how the business that I run truly is a work from home opportunity. The thought of failing on my goals, (my income goals, my goals to finish renovations on my home, the goals of having a nice family car) was just too much for me to take. So regardless, I just kept moving in the direction of achieving them. I would visualise my goals becoming a reality, I used Pinterest to create my vision board, I even visualised my health during pregnancy improving and just spent time focusing on my mindset so that I could ‘just keep moving’. I worked with some good coaches, Dave O’Connor being a great mindset coach, Phil M Jones being a super business influence over activity and movement. To keep moving, I needed to keep learning, so I embraced every training event, every opportunity to give back and speak to 10’s sometimes 1000’s of other business owners. The picture on this post was taken of me at 33 weeks pregnant delivering a session on maximising retail of our famous c9 (nutritional cleansing programme) and how to build a big business through retail to over 4500 people! I found that if I booked commitments in the diary to others, I would focus on them becoming a reality rather than how I was feeling in my pregnancy. I often forgot that I was pregnant even!